Turmeric is a member of the ginger family and famous for the yellow colour of American mustard and the India curry, used to cure and prevent various ailments and diseases that are already known since the time of traditional Ayurveda. Now turmeric is a household name in regards of its health beneficial effect, particularly for its strong anti-inflammatory and anti-oxidant nature. These highly specific properties of curcumin are very useful for the ocular or ophthalmic health and related issues. 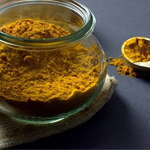 There have been many evidences and experiments that approve the role of curcumin (diferuloylmethane) and polyphenols for the treatment and prevention of inflammation related diseases and tumours. And from the past two decades turmeric and its active ingredients have been extensively researched and now it has been confirmed that curcumin is the main constituent behind most of the medicinal properties. Our body gets exposed to various harmful substances, including environmental toxins, medication, processed food, unhealthy lifestyle and the various diseases in day to day life that may increase the burden of free radicals and may trigger inflammation, which may also affect eye health. From some research and clinical data it is found that turmeric and its anti-inflammatory and anti-oxidants ingredients can prevent and help to reduce the eye inflammation and related disorders. Eye inflammation is quite common it is sometimes quite tough to deal, but it can be treated effectively by just using the concentrated form of the active ingredient of curcumin. Curcumin is a healing ingredient that prevents inflammation and improves eye health. Turmeric is richly loaded with curcuminoids that is a powerful anti-oxidant. It is a wonderful spice that supports eye health. “Turmeric has potent anti-oxidant and anti-inflammatory activity”, this is not an overnight statement in fact, it has been known since the ancient times, but at that time molecular and active component were not well researched and defined. Various experiments already have supported the extensive role of curcumin in many inflammatory diseases due to different mechanism and cellular action without producing any toxicity at higher doses, which has been clinically proven. 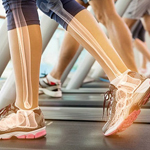 Inflammation plays a key role in most of the illnesses such as cardiovascular, neurodegenerative, metabolic, neoplastic, pulmonary diseases, etc. many chronic diseases may lead abnormal inflammations, which may cause redness, stiffness, pain, swelling and cell or tissue damage. Long term or chronic inflammation may give rise to many eye related disorders, including cataract, glaucoma, degeneration of the retina and conjunctivitis and even these inflammations may cause blindness. Curcumin has several beneficial effects on some ocular disorders like, cataract, glaucoma, age related optic nerve degeneration, pink eyes and retinopathy. It is found by the researchers that some active ingredient of turmeric, successfully prevent and treat few eye diseases caused by the serious and annoying inflammation. How turmeric helps ocular health? •	Curcumin has a various pharmacological actions; it is a potent anti-oxidant which neutralises the free radicals or toxins. •	It is a cyto-protective thus help the eye associated cells and the nearby tissues, curcumin even permanently detoxifies the cells or tissues and provides internal strength and sharp vision. •	Curcumin regulates various transcription factors, including protein kinases, cytokinines, redox reactions, molecule adhesion and certain enzymes, which has been associated with inflammation. 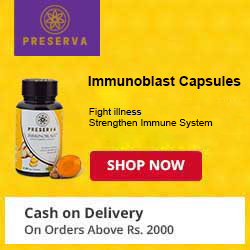 •	Curcumin blocks the inflammatory processes that are harmful for the eyes. •	Curcumin scavenge free radicals, affects multiple signalling pathways and increases anti-oxidant content in the body, which heals and delays cell death. Turmeric is a versatile ingredient for the various eye related ailments and disorders, supplementing with curcumin is the way to cure and prevent all the eye related conditions. All these unique and eye protective biological features of turmeric improve and support overall ocular health and provides long lasting eye strength.